Start your day off right with the Elite Cuisine 4-Cup Coffeemaker. Its compact design is great for home, school or office. 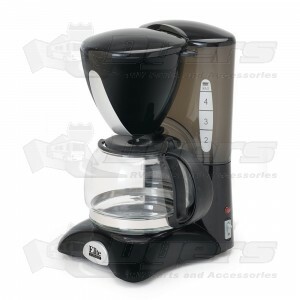 Brews up to 4 cups of coffee and has a conveniently marked carafe and water reservoir. Features a built-in Pause ‘N Serve system that allows you to sneak a cup of coffee while still brewing. The built-in removable and washable filter saves money and eliminates waste from disposable filters and makes clean-up a cinch.